From the smallest condo to multi unit apartments to custom spec homes, McCurley’s Floor Center has provided & completed tens of thousands of flooring projects in the United States of America, especially in Northern California since 1973. In addition to our commercial flooring department, we have distributed flooring products and completed numerous flooring projects for architectural designers, Federal and State government, property management, hospital and health care institutions, retail outlets, educational institutions, libraries, schools, shopping malls, hotels, business parks, insurance companies and many more throughout California and the rest of the world. Our expert knowledge of material specification, application requirements and codes will make your flooring experience go smoothly and easily. You can take advantage of our years of experience in architecture and flooring design services. Our services include consulting on flooring product selection, furnishing materials, and Flooring Installation. In addition to flooring, we are licensed for general building and construction. All of your flooring needs will be handled by our professional staff, with our focus on your customer needs and schedules. Our clients are some of the top leaders in the business world and we have a successful history of completed projects. You can Contact Us or for In-Home or On-Site Flooring Estimates and Consultation. 4 TI Group – Laminate Flooring, Sun valley Mall, Concord, CA. 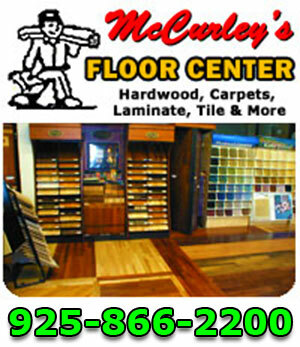 Affordable Doors & Trim – Hardwood Flooring, Ceramic & Porcelain Tile, Pleasanton & Fremont, CA. All America Maintains – Carpet & Flooring Covering, San Rafael, CA, San Francisco, CA, Mill Valley, CA, Dublin, CA, San Mateo, CA. Alpine Hardwood Floors – Hardwood Flooring, Bay Area, CA. Amorciad – Carpet Flooring, Seattle Wa. Café Teatro – Vinyl Floor Covering, Orinda, CA. Coldwell Bankers Real Estate – Hardwood, Carpet, Flooring, Orinda, CA, Walnut Creek, CA, Lafayette, CA, Moraga, CA, San Ramon, CA, Danville, CA, Pleasanton, CA, & Livermore, CA. Executive Cellular & Paging – Carpet & Flooring, Concord CA. Hill Top Mall, Carpet & Flooring, Richmond, CA. Hindu Temple – Carpet & Flooring, Richmond, CA. ZALCO Properties – Carpet Flooring & Vinyl, Concord & Redwood City, CA.